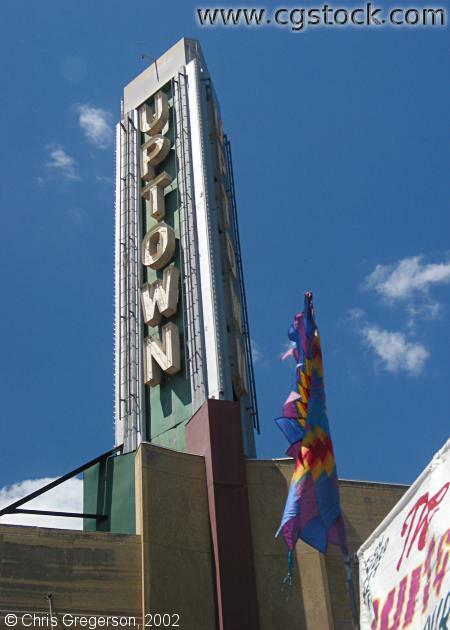 This marquee for the Uptown Theater (located at Lagoon and Hennepin Avenues) is a landmark. This photo was taken during the Uptown Art Fair. The top of a food vendor's booth is in the lower-right.